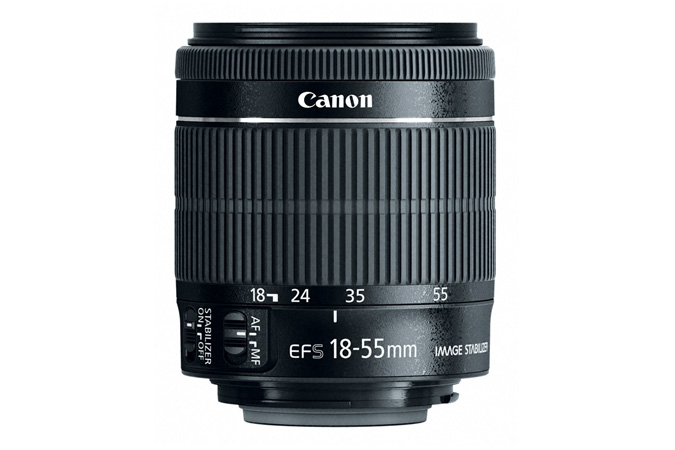 The Canon 18-55mm f3.5-5.6 IS STM Lens is a standard zoom lens featuring Canon’s STM (stepping motor) design, to ensure fast, accurate and more importantly quiet operation. With a focal length of 29-88mm in 35mm format, the lens’ wide zoom range is suitable for most general photography. For close-up work, the working distance is just 0.25m (25cm) throughout the zoom range. The lightweight and compact construction with makes it extremely portable for travel photography. The built-in Image Stabilisation reduces camera shake and blur and allows shooting at shutter speeds up to four stops slower than normal. This EF-S lens is designed for Canon’s EOS cropped sensor cameras. An ideal first step into the DSLR world Tackle a range of subjects, from landscapes to portraits and action, with a versatile 18-55mm zoom range. Lightweight construction makes this a great everyday lens. Increased sharpness with four-stop Image Stabilizer An optical Image Stabilizer reduces the risk of camera shake, enabling hand-held photography in low-light conditions without flash. Use shutter speeds up to four stops longer than normal without blur from camera movement. Quiet, smooth focusing in movies STM Motor technology provides near-silent focusing to leave your video soundtrack uninterrupted by noise, and adjusts smoothly and precisely as you shoot. Designed for great photography Focus on small subjects, with a closest focusing distance of just 0.25m. A non-rotating front element makes using filters straightforward, and a manual focus ring enables manual override of focusing at any time. Great image quality, whatever the subject A Super Spectra Coating is used to reduce flare and improve sharpness, while a seven-bladed aperture provides smooth out-of-focus highlights for a more natural look and feel. Canon's STM lenses Canon's new line of STM (stepping motor) lenses are specifically designed for shooting video with the camera's Movie Servo AF mode. The STM lenses have been released alongside the Canon EOS 650D, 700D and 100D and are designed to work with the cameras AF (autofocus) system so that they're fast, accurate and silent. The result is a movie that sounds professional without the sound of the noisy AF motor in the background.